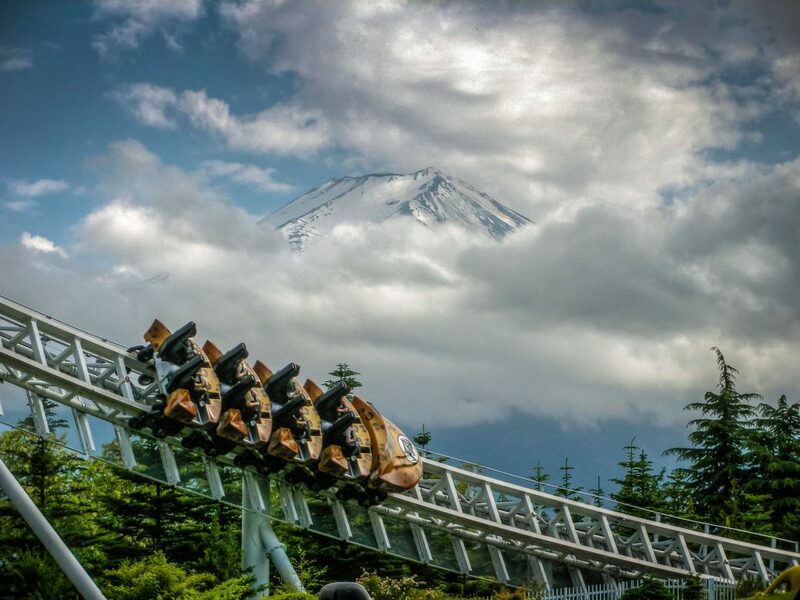 Dodonpa at Fuji-Q Highland in Japan. 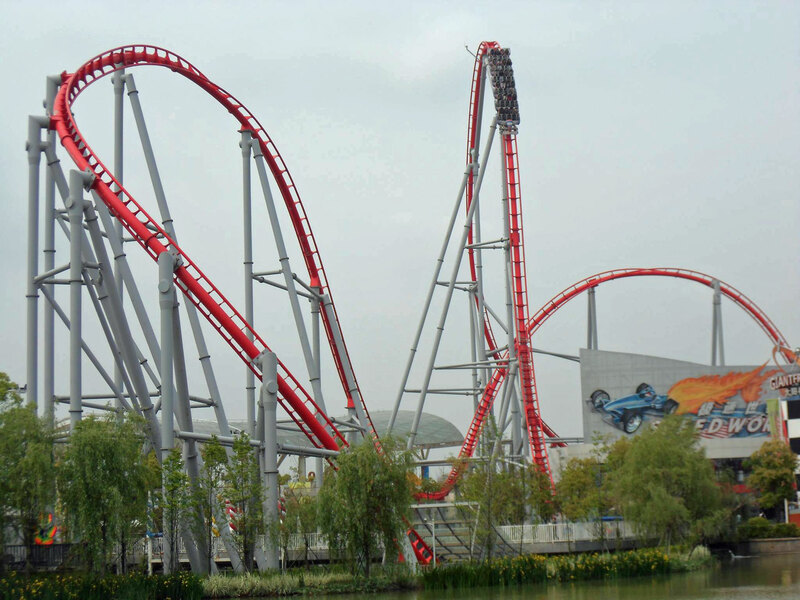 When the Thrust Air 2000 coaster was introduced, everyone thought it would start appearing everywhere. 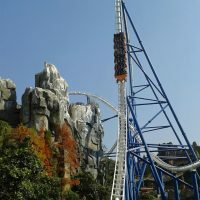 However, due to reliability and maintenance issues, as well as Intamin‘s introduction of the much more capable Rocket Coaster, the Thrust Air 2000 seems to have been forgotten about. 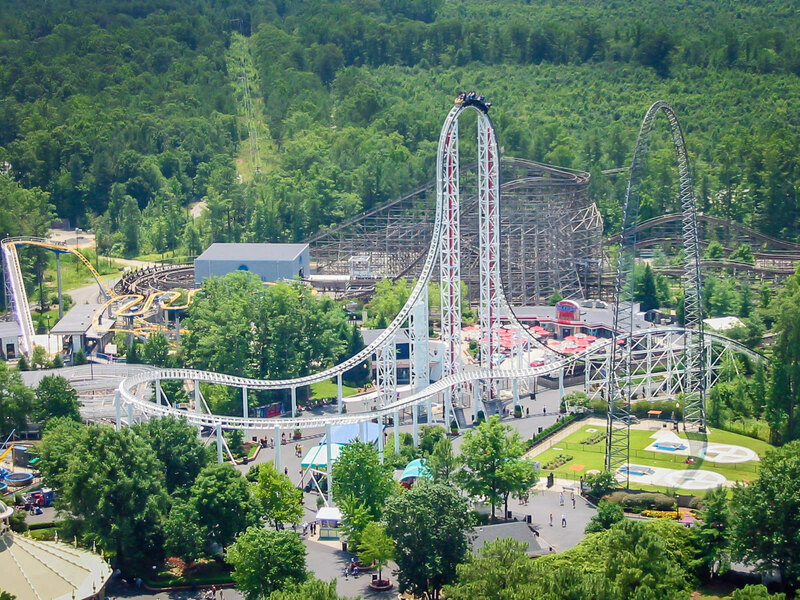 Hypersonic XLC at King’s Dominion in Virginia, USA. 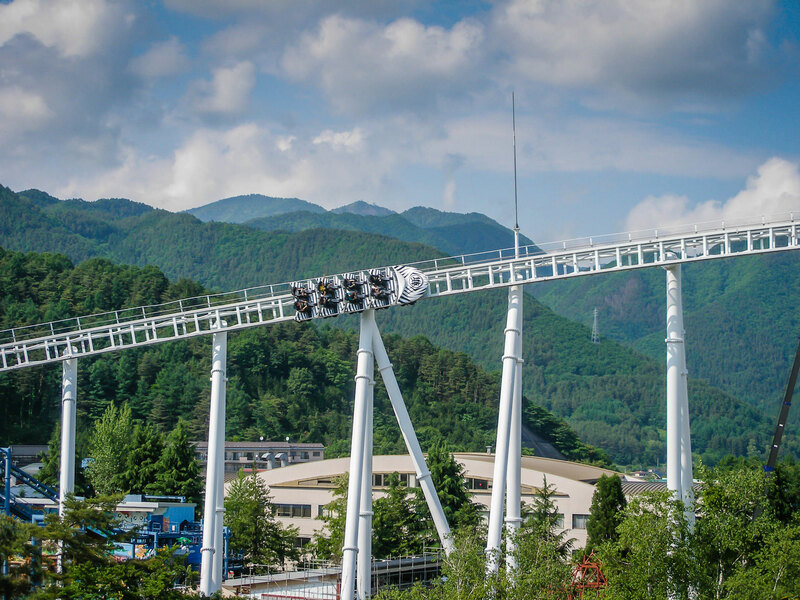 The original Thrust Air 2000 coaster was set up in Utah at the S&S Worldwide plant. 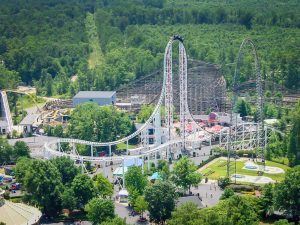 The media got to ride it, as is usually the case with new S&S rides, and then it was disassembled and used in the construction of Hypersonic XLC at King’s Dominion in Virginia, USA. 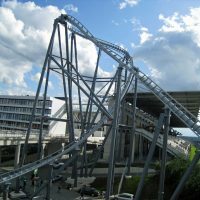 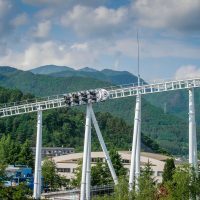 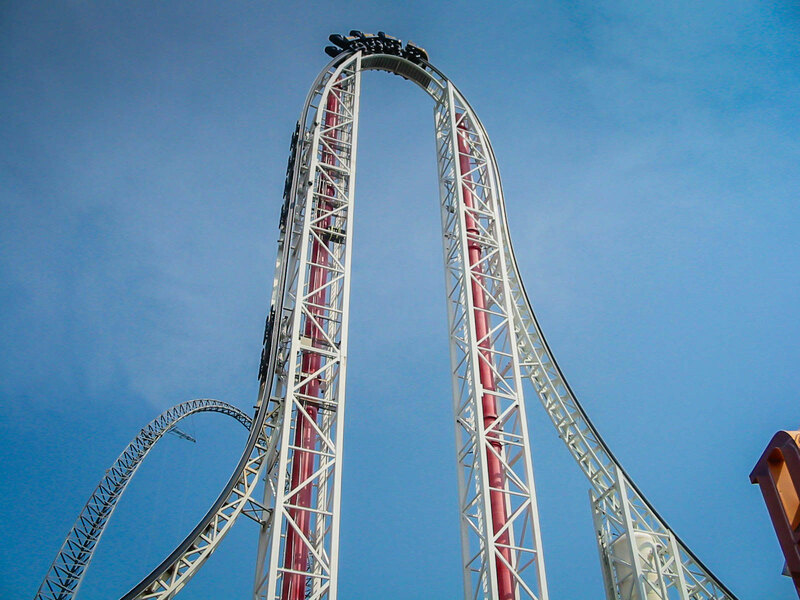 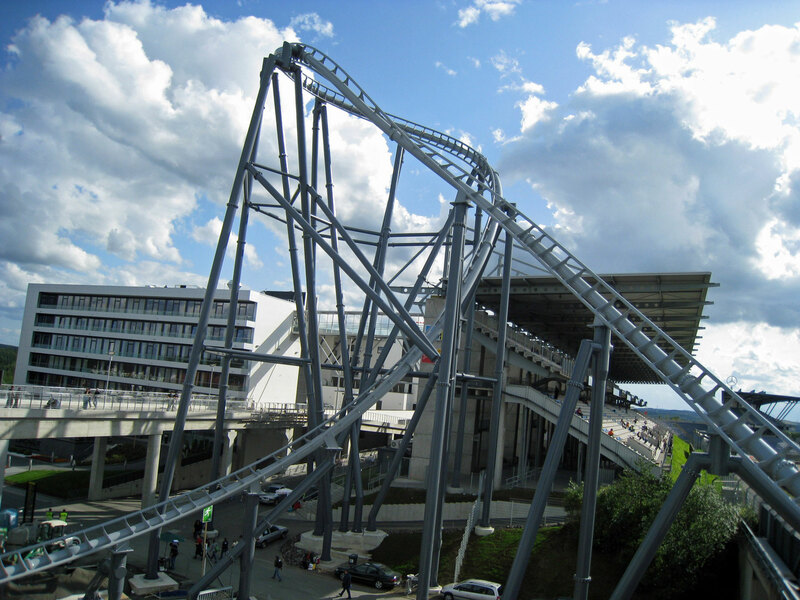 There has only been one other Thrust Air Coaster, Fuji-Q Highland’s Dodonpa in Japan, which held the world’s fastest coaster record at one time and still holds the record for fastest coaster acceleration in the world – Dodonpa reaches its maximum speed of 107 mph (172 km/h) in just 1.8 seconds. 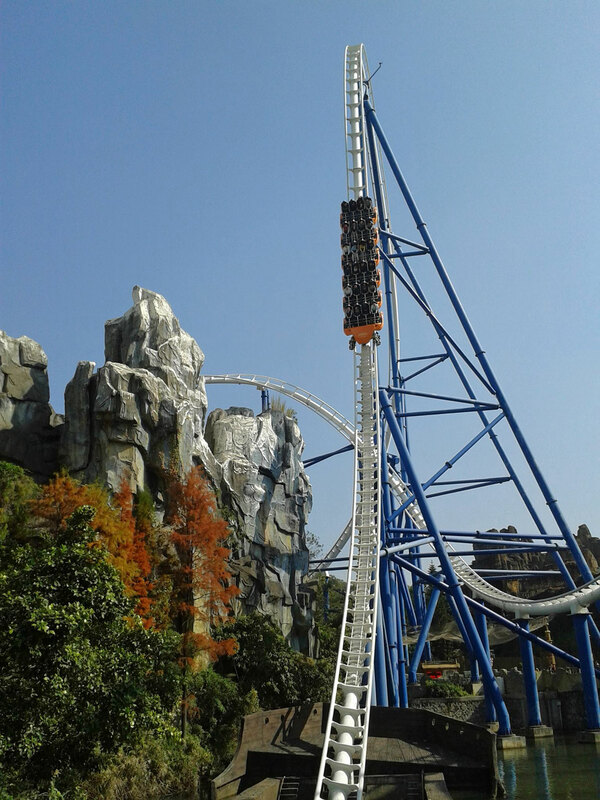 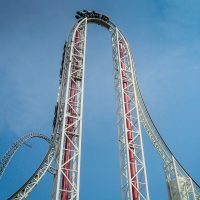 Although generally considered inferior to the hydraulic launch system perfected by Intamin, the Thrust Air’s pneumatic system is capable of much quicker launches. Powder Keg: A Blast in the Wilderness at Silver Dollar City in Missouri, USA. 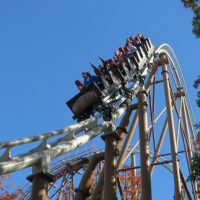 In 2004 S&S modified the Buzzsaw Falls at Silver Dollar City in Missouri, USA to create an elaborate compressed air launch coaster out of the former Premier Rides water coaster. 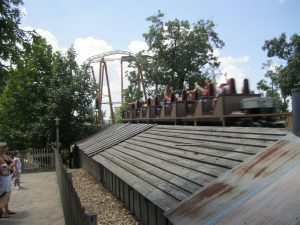 More on the family friendly side, Powder Keg: A Blast in the Wilderness launches riders 0-53 mph (0-85 km/h) in 2.8 seconds. 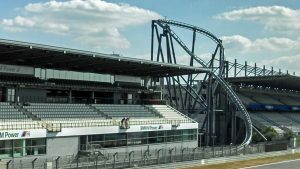 Ring Racer at Nürburgring in Germany. 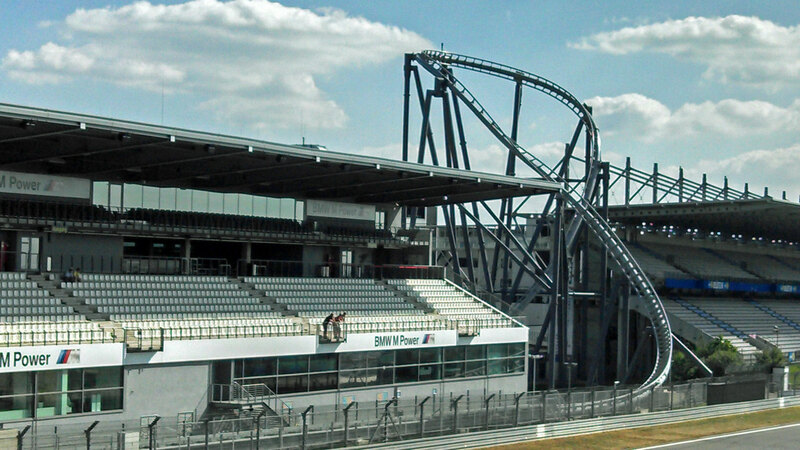 Nearly a decade later S&S gave it another shot with Ring Racer at the famous Nürburgring race track in Germany. 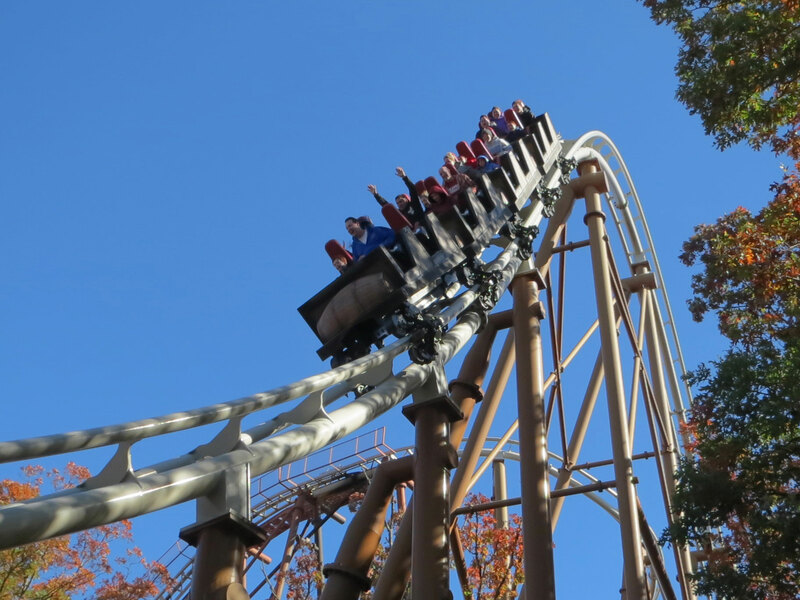 Featuring a 0-99.4 mph (160 km/h) in 2 seconds launch, the coaster suffered from multiple issues with the air compressors and only operated for a few days in 2013. 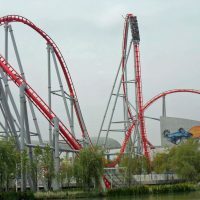 In spite of the setback, the company continues to build these models in China with great success.